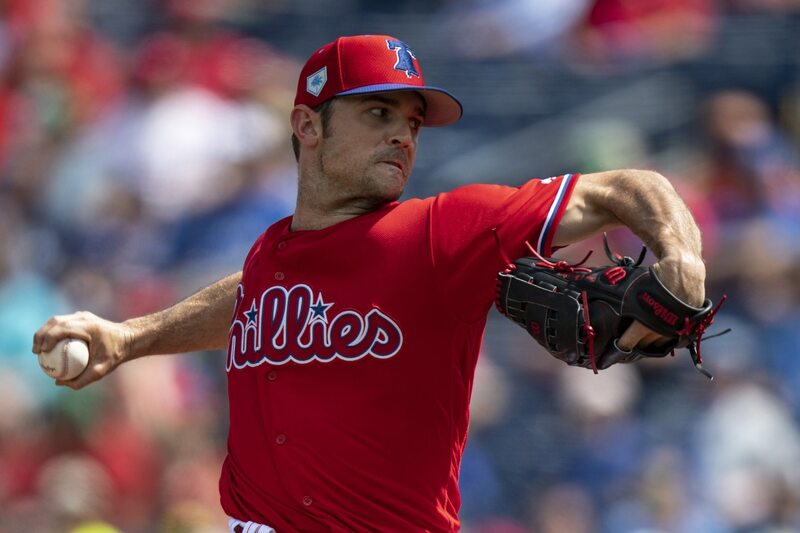 Reliever David Robertson, who was one of the big acquisitions for the Philadelphia Phillies in the offseason, is heading to the injured list. Todd Zolecki of MLB.com reported on Monday that Robertson is hitting the IL with soreness to his right elbow. The #Phillies have placed RHP David Robertson on the 10-day IL with right elbow soreness and recalled RHP Drew Anderson from Lehigh Valley (AAA). That’s Robertson’s throwing elbow. Even if the injury doesn’t prove too serious, expect the Phillies to be cautious with Robertson. Robertson’s 2019 has been something of a mixed bag so far. Overall, he has a 5.40 ERA, 2.10 WHIP, and an 8.9 K/9 rate. While the injury would offer a good explanation for those struggles, most of them came early. Over his last four outings, Robertson has been much better. In that stretch, he’s posted a 0.00 ERA, 0.86 WHIP, with a 9.6 K/9 rate.